This is the story of a 21-year-old man from Goshen. If McCray Wenger were like many who have gone through what he has, his story might be coming to an end. He might have quit. Yet for McCray, the story is just getting good. Next fall McCray will be enrolling as a freshman at The Ohio State University’s Mansfield campus. He is also slotted to play on that school’s basketball team. How he got to this point, is a story unto itself. McCray never played high school basketball. For one thing, he says, when he got to high school, he didn’t have the right body. He was too short and too wide. He was cut from the school’s team in ninth grade and he never tried out again. Not making the team put McCray in a serious funk. He was already shy and now he had almost completely withdrawn. He also had some serious anger issues. McCray had to spend some time living in a state-run residence and at Bashor Home. He had a series of run-ins with the law. He also had basketball. McCray is a self-professed gym rat. He was one of those kids who spent every possible moment shooting hoops. He got good at it. Very good. McCray could shoot. 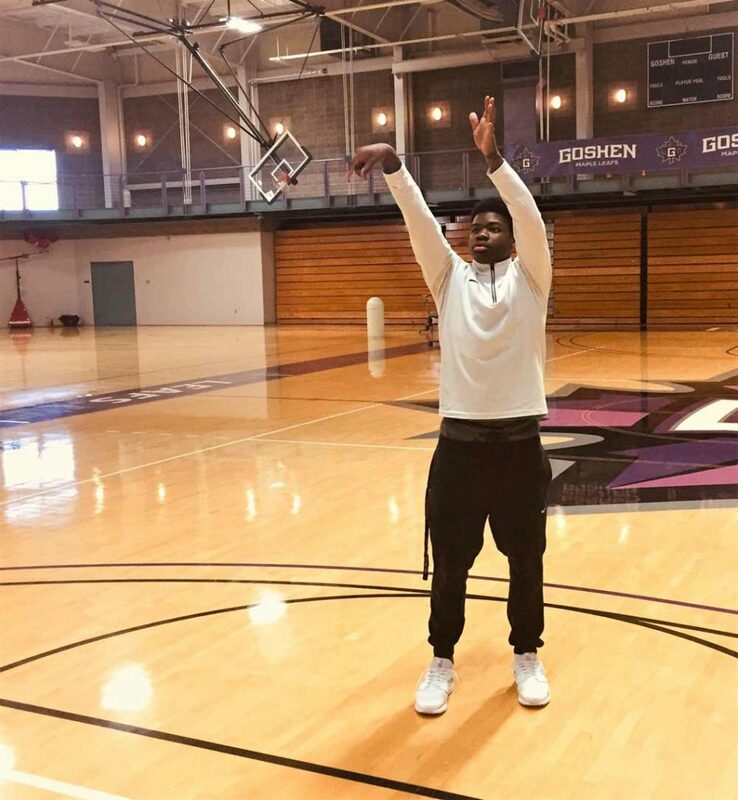 Last year, McCray got accepted at Goshen College. He tried to make the basketball team as a walk-on. He had an idea what he was going up against trying out, but he did. Now, this is no Disney movie, so McCray was not that kid who became the hometown hero. Over the years, McCray’s body changed. He grew to 6’3”. He is slim and muscular. He has a 6’8” wingspan. He looks like a guy who can play some ball. McCray played for Goshen’s JV team. He was the only player with no high school experience. All the others on the squad had that going for them. Some even played for a junior college before getting to Goshen. McCray did good enough. He put up some respectable numbers with limited playing time. He was able to catch the eye of a man named Don Nelson. Nelson is a long time college basketball coach from Ohio and he has a reputation for spotting talent. He is also committed to rebuilding the OSU Mansfield program as its Head Coach. He likes what he sees in McCray and is willing to give him a shot. McCray will start at OSU Mansfield as a freshman, both academically and athletically. He is ready to write the next part his story. McCray knows that going to school and competing at a higher level will be a challenge. He welcomes it. “Bring it,” he tells us. This spring and summer, he plans to take online courses and work to make some money to help cover what the scholarship and aid don’t. “I have to keep my college mindset going,” he says. McCray also plans to hone his video game talents. NBA2K, of course, and some others. College ballers have those skills too. Unless McCray told you, and he is open about it, you would not know about the ups and downs of his past when you first meet him. Talk to him, though, and he will tell you his story. You will learn about his commitment and drive. You will hear about how he wants to be a positive role model for kids. McCray feels he is blessed to be able to relate to youngsters is a special way. He wants to influence them through sports and by telling his story. McCray wants them to know what he has been through. He wants them to see themselves as having the potential to excel, just as he now sees that he has himself. McCray is adopted and he has a strong bond with his very distinctive family, but that’s a story for another time.